Lexington, Ky. (October 28, 2016) — The Racing Officials Accreditation Program (ROAP) announced today five winners of the 2016 Pete Pedersen Award, which is presented to stewards who have made important contributions to the Quarter Horse and Thoroughbred racing industries. Pete Pedersen, for whom the award is named, worked as a steward in California for 50 years before retiring at the age of 85 in 2005. The Seattle native became the second steward to receive the Eclipse Award of Merit, in 2002. He was also the recipient of the Laffit Pincay Jr. Award in 2008 for serving the racing industry with integrity, dedication, determination and distinction. Pedersen worked at nearly every track on the West Coast, and his reputation for objectivity and kindness was widely known. The recipients will be recognized Tuesday, December 6, 2016, at the annual awards luncheon at the University of Arizona Race Track Industry Program’s Global Symposium on Racing and Gaming in Tucson, Ariz.
Peter Kosiba Jr. served more than five decades as a racing official. He retired in 2013 from Arlington Park where he had served as association steward since 1995. Prior to that he served as a steward at the Fair Grounds, a racing secretary at Penn National Race Course for more than 20 years, and as a racing official at tracks throughout the Midwest and East Coast. Kosiba has been credited for his knowledge, kindness, and loyalty. His peers have noted this not only in his career, but also through his dedication to his family and friends. The late Calvin Stuart Rainey began his career in the Thoroughbred industry as an exercise rider in the 1930s. He later worked for The Jockey Club after WWII as a racing official and steward. He was the executive director of The Jockey Club from 1972 to 1980. After retiring, he moved to Arizona with his family and remained active in racing. Rainey assisted in the development of the University of Arizona’s Race Track Industry Program and was also a member of the Arizona Racing Commission. For the past 25 years Michael Corey has served as chief state steward at Oklahoma tracks including Remington Park, Fair Meadows, and Will Rogers Downs. He began his career as a tattoo technician for the Thoroughbred Racing Protective Bureau in 1978. He also spent time as an identifier, placing judge, paddock judge, assistant racing secretary, and ultimately a steward. Corey is known among his colleagues to be “clearly guided by a great passion for the sport of horse racing and an innate sense of fairness.” Corey still works as chief state steward for the Oklahoma Horse Racing Commission. Jerry Burgess began his career as a jockey in 1963 and was licensed in Colorado, New Mexico, California, and Oklahoma until 1987. He was the leading rider at Le Mesa Park, Raton, N.M., and Centennial Race Track in Littleton, Colo. Burgess has worked as a steward for the Texas Racing Commission since 1992 with experience as a steward at Ruidoso Downs and Hialeah. Burgess has been a member of the Jockeys’ Guild for 45 years. In 2010, he was inducted into the Oklahoma Horse Racing Hall of Fame, and in 2011 he was inducted into the New Mexico Horse Racing Hall of Fame. Burgess is regarded by his colleagues as honest and diplomatic with a reputation for upholding integrity within the sport. 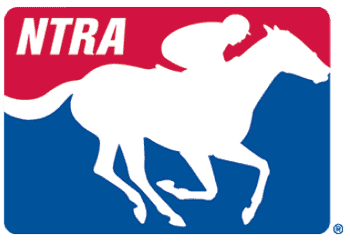 The Pete Pedersen Award special selection committee is composed of five members from ROAP-affiliated organizations: Rick Baedeker (ARCI / California Horse Racing Board), Tim Capps (University of Louisville), Dan Metzger (Thoroughbred Owners and Breeders Association), Terry Meyocks (Jockeys’ Guild), and Scott Wells (Thoroughbred Racing Associations). ROAP, which receives primary funding from The Jockey Club and is based in its Kentucky office, is a 501(c)(6) organization whose board of directors is made up of representatives from 18 industry organizations and eight at-large representatives. Stewards and judges receive their accreditation and continuing education credits through this program. The website address for ROAP is horseracingofficials.com.